The focus of Volume One of The Quantum Children is to provide a basis of understanding of the shifts in consciousness that are occurring worldwide, also included is information and clarity about health, healing and happiness. 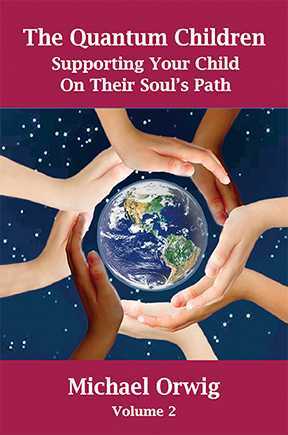 Volume Two,Supporting Your Child On Their Soul’s Path, focuses upon case studies of parents of Quantum Children. Using hypnosis to access information from their higher wisdom or Superconscious, eight different parents share insight about their children. In each study the Superconscious takes us on a fascinating journey of discovery. All forms of different information about the children and their parents are revealed. •	Lifetimes in different galaxies. •	Why each child had chosen their particular parents. •	The gifts and talents they had come here to express. •	Clarity on identifying each individual’s soul purpose. •	And most importantly, we examined how each parent could support them on their path. Understanding why these children are here is vital to learning how to better parent them. The Quantum Child, Supporting Your Child On Their Soul’s Path, offers much support to this end.